Feeling a bit crafty? Anyone can do this DIY Stenciled Pie Crusts project- all it takes is an extra minute to apply cinnamon sugar or powdered food colors on your rolled out pie crust top then bake as usual. Give your holiday baking a distinctive flair that shows you really “cook with love.” It takes time and practice but the end result is worth the effort! Once you get the knack of it, the project really is not that difficult. Your family and friends will never believe you did it yourself! The project requires an egg wash to start. Roll out your pie crust. I use a silicone baking mat or parchment paper nder the pie crust to make it easier to move later. It also helps make clean up easier. Roll the stencil with a rolling pin to give it some indentations and then brush the egg wash on lightly over the stencil. 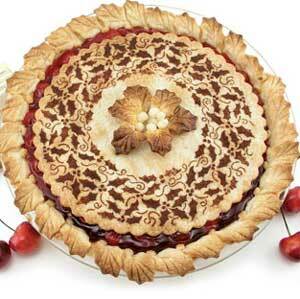 Place a light dusting of flour on the pie crust and add your pastry stencil over the top. The design is up to you. This one from Amazon has a floral design. Once you have the top nicely brushed with the egg wash, sprinkle it with cinnamon sugar. Another quick roll of the rolling pin and the crust is ready to transfer to the pie and bake. 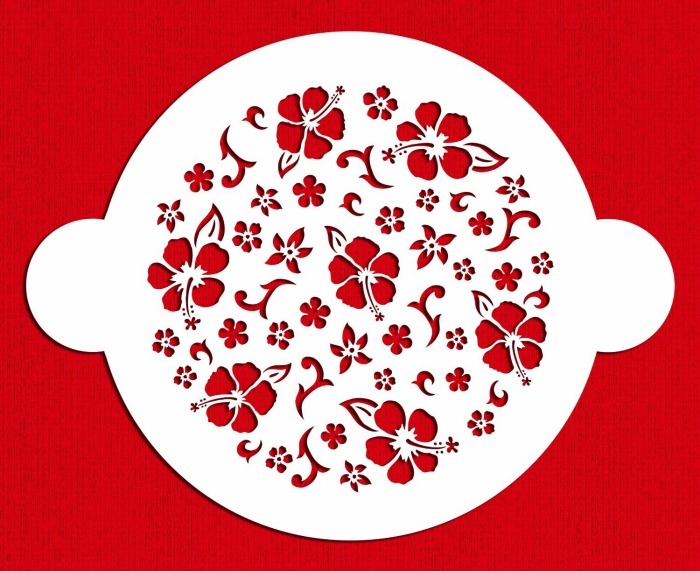 Here is a great video Shared from Designer Stencils that shows how to do the project.